It is not unusual for poker players to find something to complain about – and sometimes our complaints are justified. Take, for instance, the Power Series tournaments at Party Poker. At present, the tournaments are structured to best meet large guarantees and provide a variety of play. That´s not a bad thing, so what is there to complain about? As good as the Power Series tournaments are, most tournaments have ridiculously long late registration periods. Even when the buy-in is just $1.10, you could be playing for 2 hours before you know what size field you are playing against and how much money you are playing for. In tournaments with bigger buy-ins, the late registration period can be as long as 3 hours. The opportunities to re-enter mean you might have to knock out the same player three times before you get rid of them, and the blind structure can be so erratic you may have to change your style of play in every tournament you enter. In practise, the tournaments go on for longer than most players want to play and, by the end of them, few care about guarantees or variety. Rather than refer to complaints as complaints , Party Poker has listened to player feedback and is restructuring the format of its Power Series tournaments. Late registration periods are going to be shortened, the number of tournaments offering an opportunity to re-enter are going to be reduced and eventually every tournament will have a “smooth” blind structure. The “smooth” structure has been trialled for some time and, combined with shorter registration periods and fewer opportunities to re-enter, each tournament should take less time to complete. We don´t know yet what effect this will have on tournament guarantees, and we will not likely find out until the forthcoming PowerFest series has concluded at the end of September. 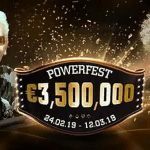 According to a post on the 2+2 poker forum, players will first notice the changes in Sunday´s Power Series tournaments, after which they will be rolled out gradually up to the start of the PowerFest series. 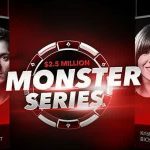 In addition to the restructuring changes mentioned above, the Bounty Hunter Progressive Knockout tournaments will be played in a freezeout format, some of the Deepstack tournaments will be replaced with “regular” tournaments, and some tournaments will have shorter blinds than players are used to. 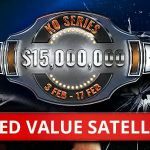 The changes will make Party Poker a better site to play at if you are the sort of player who enters a tournament at 6:00pm and expects it to be over by midnight. 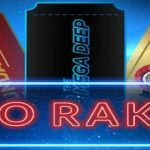 The smooth blind structure may take some getting used to for players who are unfamiliar with it, but those of us who have tried it find it pretty good, and we like many of the other changes that Party Poker is introducing. In fact, if the site continues listening to player feedback, we may be left with nothing to complain about at all!